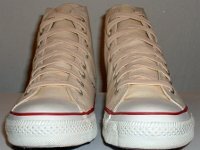 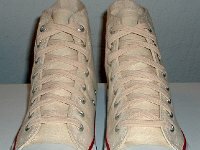 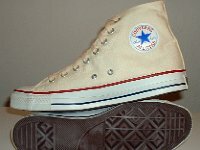 Photo gallery of Core Natural (Unbleached) White High Top Chucks. 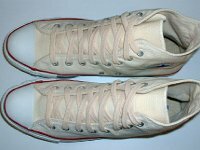 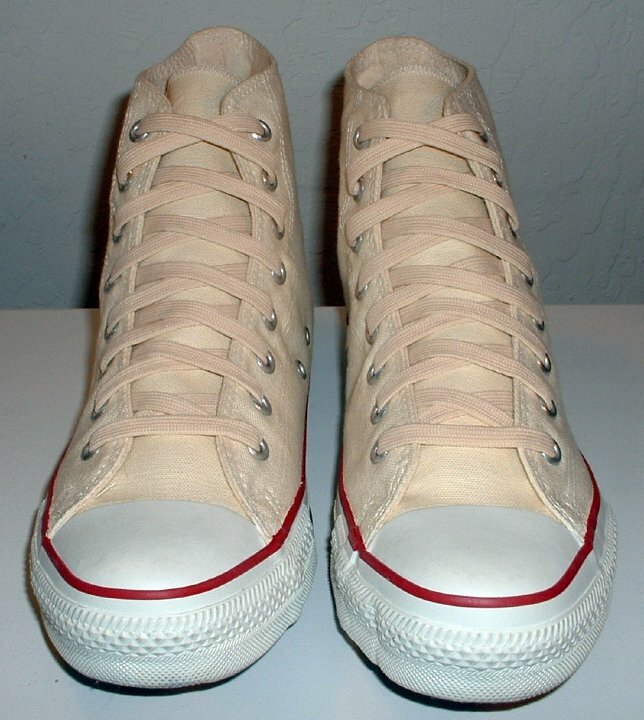 1 Core Natural (Unbleached) White High Top Chucks Outside view of a left natural white high top. 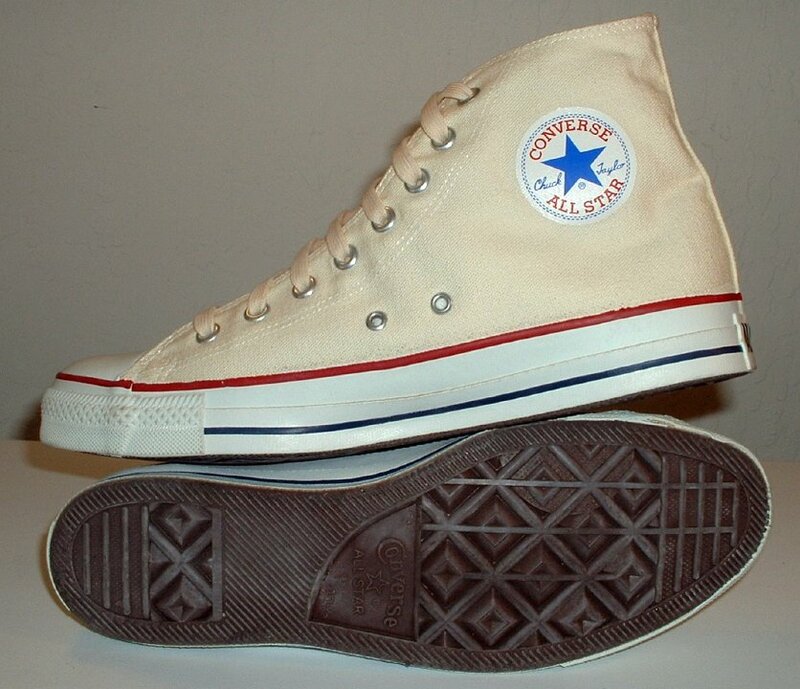 2 Core Natural (Unbleached) White High Top Chucks Inside patch view of a left natural white high top. 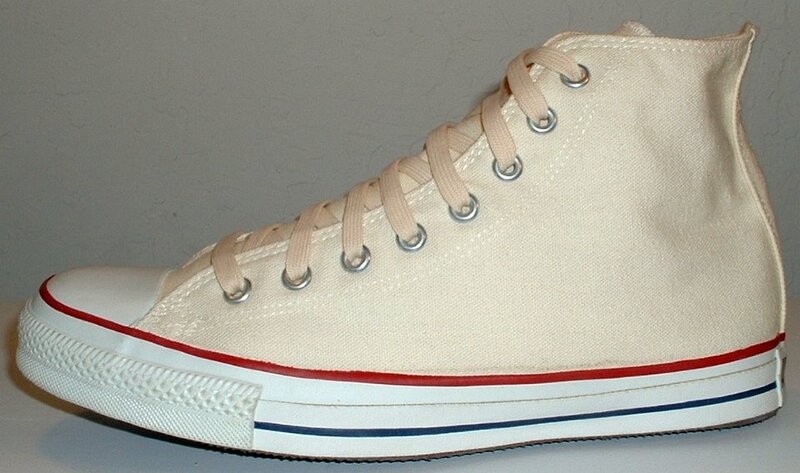 3 Core Natural (Unbleached) White High Top Chucks Inside patch view of a right natural white high top. 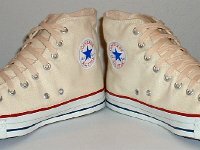 4 Core Natural (Unbleached) White High Top Chucks Outside view of a right natural white high top. 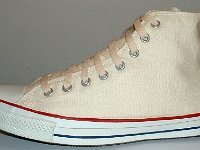 5 Core Natural (Unbleached) White High Top Chucks Front view of natural white high tops. 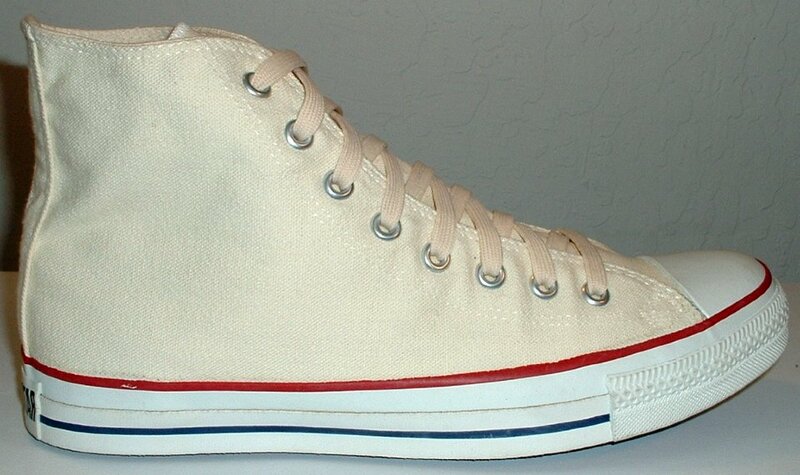 6 Core Natural (Unbleached) White High Top Chucks Angled front to top view of natural white high tops. 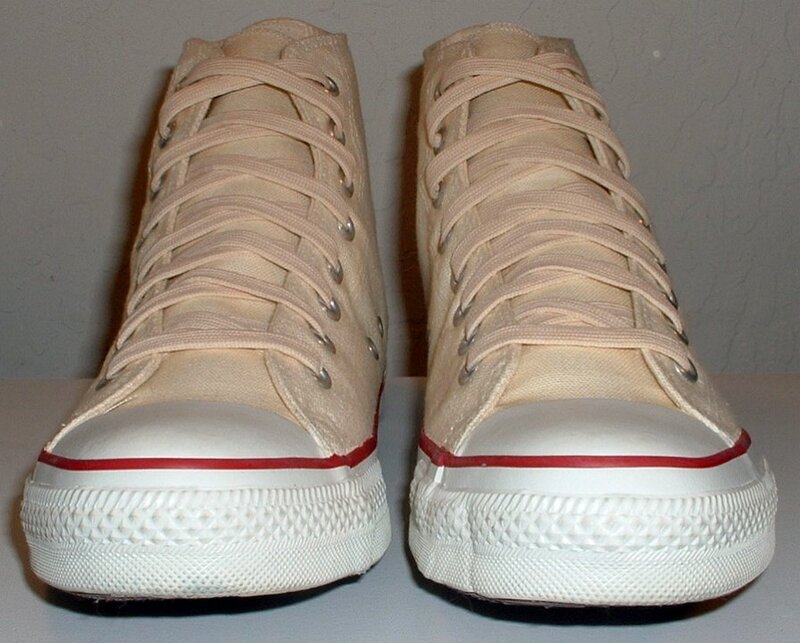 7 Core Natural (Unbleached) White High Top Chucks Angled front view of natural white high tops. 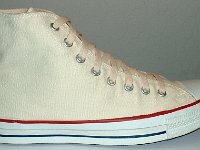 8 Core Natural (Unbleached) White High Top Chucks Rear view of natural white high tops. 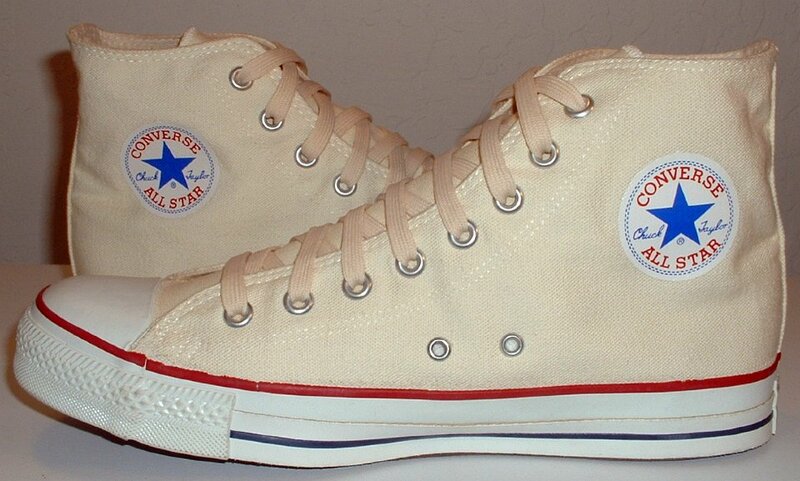 9 Core Natural (Unbleached) White High Top Chucks Inside patch views of natural white high tops. 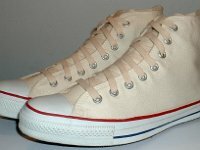 10 Core Natural (Unbleached) White High Top Chucks Angled side view of natural white high tops. 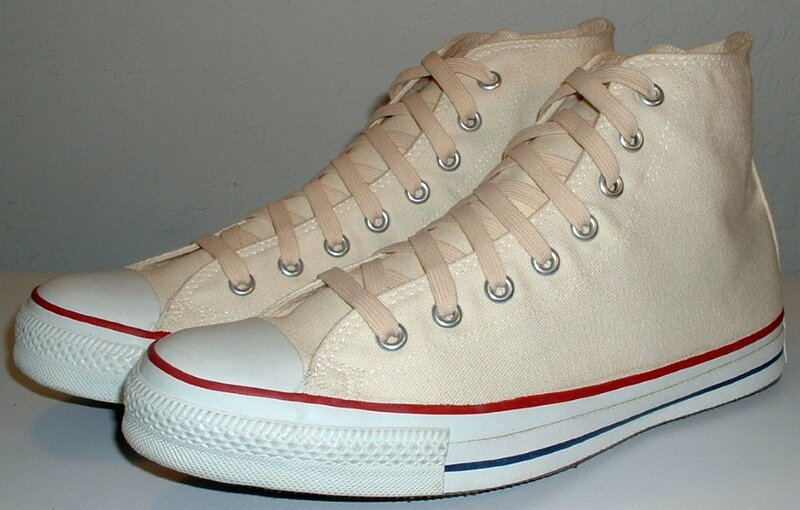 11 Core Natural (Unbleached) White High Top Chucks Top view of natural white high tops. 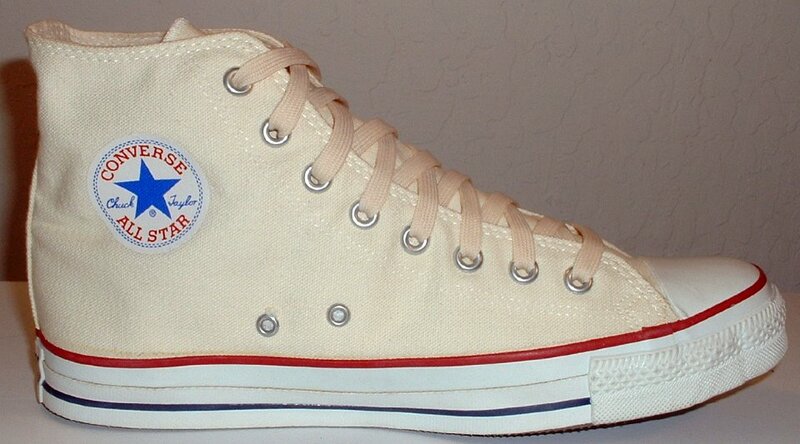 12 Core Natural (Unbleached) White High Top Chucks Inside patch and sole views of natural white high tops. 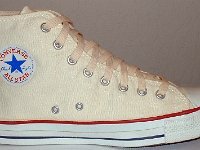 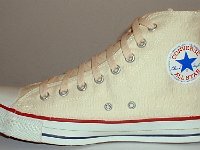 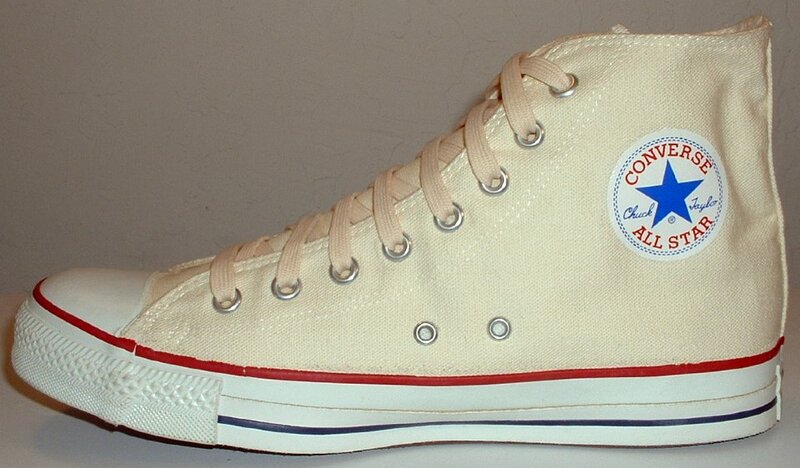 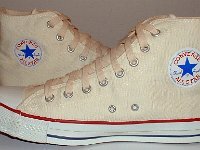 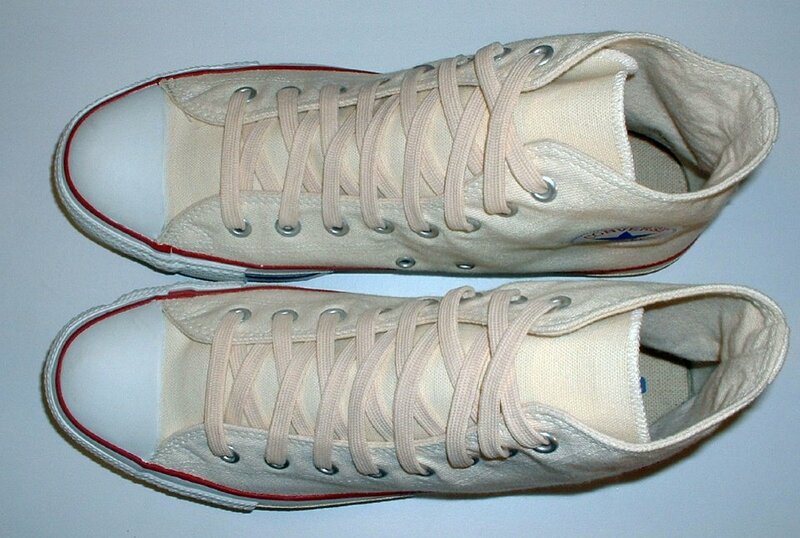 Core Natural (Unbleached) White High Top Chucks are an alternative to dyed canvas optical white chucks. 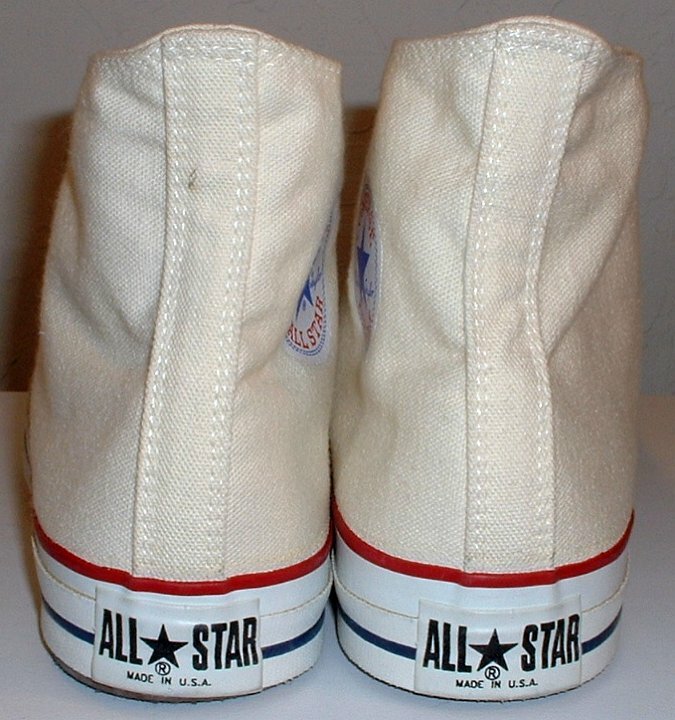 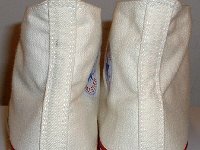 This gallery shows a made in USA pair from the 1990s.